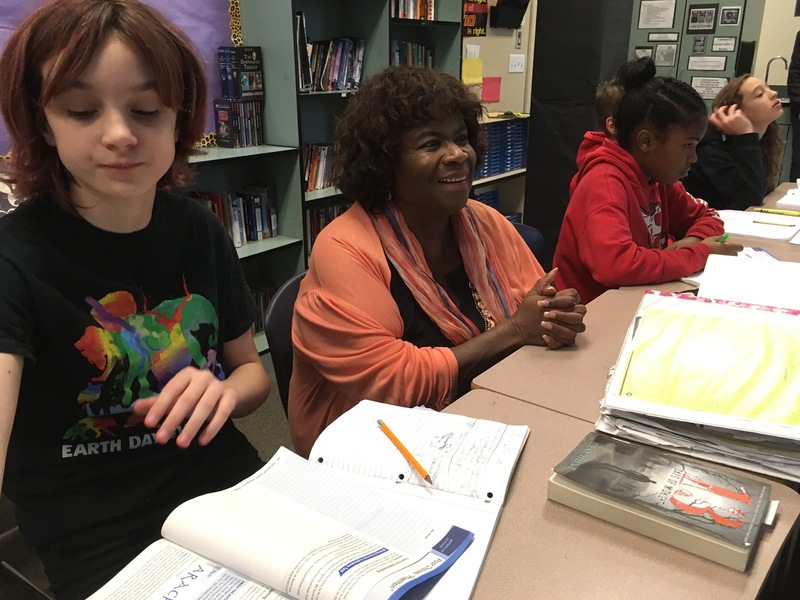 TACOMA, Wash.—The two words, “these kids,” frustrate Tacoma Public Schools Superintendent Carla Santorno more than any other phrase. It’s used by some educators as a kind of secret code and a flimsy excuse for academic failure among marginalized students, says Santorno, a lifelong educator who has led Tacoma Public Schools in Washington since 2012. Developing caring relationships has long been Santorno’s strategy to improve the performance of students in big city districts. And despite a large and looming drop in state funding, she recently gave Tacoma Public Schools teachers double-digit raises after a weeklong strike because she feared losing talented educators to more affluent school systems. Santorno’s drive to expand opportunities for marginalized students stems from her childhood in the late 1950s, when she and her sister were the only black children at their elementary school in a highly segregated Denver. Their single mother prioritized moving to a white neighborhood where, even if they could afford only a small house, the schools would be better. She had also set her sights on a future career: She wanted to be a teacher from the time she was 6 years old. As she grew older, she served as a neighborhood tutor. “I would have school in my basement and invite neighbors,” she says. And while her career aspirations may have been a certainty, going to college was not. Santorno, the first in her family to graduate high school, had top grades and plenty of extracurricular activities, but despaired over tuition costs. “I’m pretty sure my mom screwed up the FAFSA form because there’s no way I didn’t qualify for financial aid, but I got nothing,” she says. Santorno enrolled at Colorado State College, now the University of Northern Colorado, by, she says, becoming the first black student to receive the Gates Scholarship, a prize given by a Denver rubber company. ATTENTION SPAN—Tacoma Public Schools Superintendent Carla Santorno listens to a teacher in class at Jason Lee Middle School. A few minutes later, she and all the students took a brain break. They each stood, waved their arms and hopped on one foot as a refresher before continuing with the lessons. People released from those police holding cells early in the morning would sometimes sneak in to sleep inside Santorno’s school, which had been warmed up by custodians. Her first task was to sweep the halls and kick out the drunks, she says. She later became an area superintendent of a high-poverty segment of Denver Public Schools, and eventually became the head of curriculum for the district, which at the time had 80,000 students. Throughout that part of her career, she also traveled around the country as a PD trainer focused more on developing teachers’ competencies rather than on how many hours they spent in training sessions. This work brought Santorno from auditoriums in New York City with 500 fourth-grade teachers to small rooms in the Midwest where she met with an entire rural district’s staff of about a dozen teachers. Tacoma recruited Santorno as a deputy superintendent in 2009 after she’d spent three years as chief academic officer in Seattle Public Schools, about 30 miles north. Tacoma’s graduation rate has since soared from 55 percent to 86 percent. The district grapples with 63 percent poverty, but Santorno has been moving more students of color into AP and other advanced classes. Any student who passes a proficiency test is enrolled in an AP class, unless their parents opt out. The district of approximately 29,000 students also pays for all SAT and International Baccalaureate exams, regardless of need. And a range of community organizations, businesses, government agencies and colleges have partnered with Santorno and her educators to help Tacoma’s students overcome various challenges. “My primary job as superintendent is to say, ‘Yeah, we’ll do that,’ and figure out how to make it happen,” she says. Washington does not fund preschool. So the the district and Graduate Tacoma—a coalition of 265 community organizations—have not only filled the financial gap, but have also brought together early childhood providers to align instruction so all students are better prepared for kindergarten. Through another partnership, pediatricians give parents the titles of six books children should read before their next checkup. The city’s housing authority has stepped in to offer rental discounts to families who commit to keeping their kids at McCarver Elementary, which has suffered enrollment declines as students leave the neighborhood for better schools. However, that program has been jeopardized by soaring housing costs. Another school lost 50 families over the summer after one local apartment complex raised individual rents by $500, Santorno says. 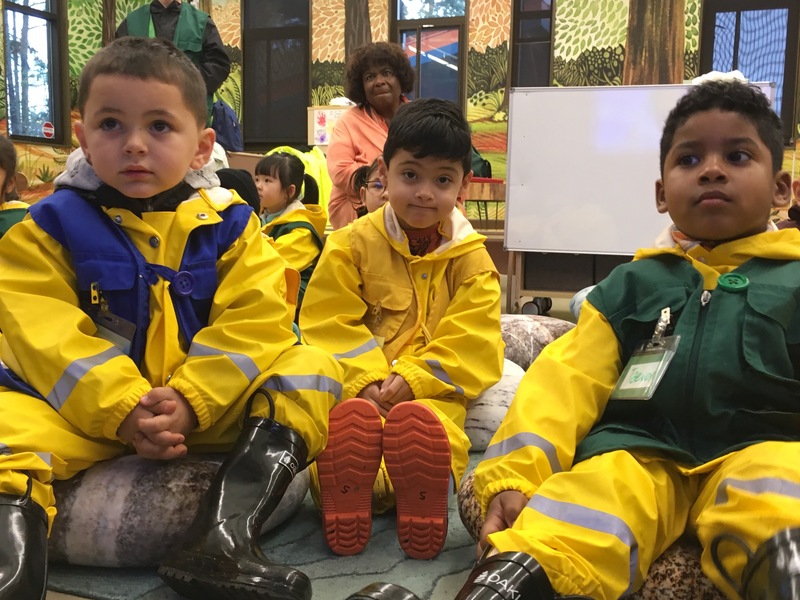 NATURAL CURIOSITY—Superintendent Carla Santorno looks on as visiting preschool students prepare for a nature hike in the rain at the Science and Math Institute, also known as SAMI, which may be the only high school in the nation that’s located inside a zoo. On the academic side, the University of Puget Sound—a private institution that can cost $50,000 per year—will offer five years of tuition (after financial aid) to any Tacoma Public Schools graduate who meets the college’s entrance requirements. Another partner, the University of Washington at Tacoma, has lowered the GPA that city students need to gain admission. In settling the strike, the teachers union and the district issued a joint statement that criticized a state Supreme Court decision for leaving Tacoma Public Schools with insufficient and inequitable funding compared to other Washington districts. The final ruling in the years-long case changed the way districts could assess property tax levies and pay staff, among other adjustments. Tacoma now faces a $38 million budget shortfall in the 2019-20 school year, Santorno says. While Tacoma’s state lawmakers work to fix the funding problem, high school completion gaps between ethnic groups are narrowing. The graduation rate for Samoan students in 2017-18, for example, was 100 percent. Santorno’s biggest concern going forward is that students in some demographics continue to lag behind on test scores. Cleburne ISD teachers will now have full access to Nearpod’s premium content—such as digital citizenship, engagement-boosting tools and virtual reality—as well as in-person training, support and professional development resources. Washington could be on the brink of requiring all school districts to teach comprehensive sexual health education, including lessons on birth control, healthy relationships and consent.